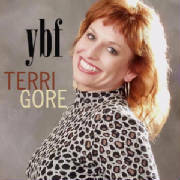 YBF (Your Best Friend) from Terri Gore on the Forevermore Records label covers a lot of ground with twelve tunes that serve as a retrospective of the Original Carolina Girl’s career in Beach music. From earlier tunes such as Movin’ On and Give Me Just A Little More Time to recent releases like Ten Kisses and the currently charting Supernatural, some of Terri’s most intricate work is certainly showcased in the album. There are a couple of songs here – Separate Places is a good example – that I felt did not get the recognition they deserved when originally issued. Another hidden gem on the album is her soulful rockin’ rendition of Just Like A Yo Yo. Cover to Cover, the new release from Mark Roberts & Breeze is a twelve track effort that I would describe as a representation of just how far this band has come in three short years. Being distributed by Shanty Records, current charters Lover Lover and Love Me As Hard As You Hurt Me lead off the CD but the strong work certainly does not stop there. 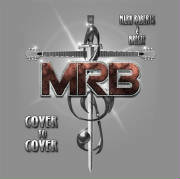 MRB did a marvelous job on their rendition of the previously released Don’t Ever Be Lonely. The hard driving The Night Owls and somewhat softer What’cha Gonna Do are good examples of powerful vocals, strong instrumentation and high quality studio production. One of my favorites on the CD is the slow groove entitled New Orleans Ladies. 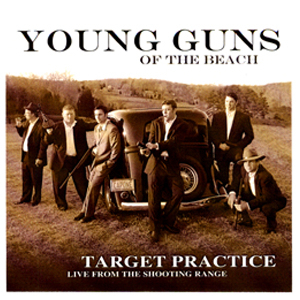 Target Practice – Live From The Shooting Range is an audio recording from the rehearsal sessions in preparation for the Young Guns first live performance together in April 2007. This amazing assemblage of talent comes from members of the Band of Oz, Hip Pocket and Swingin’ Medallions that are lucky to be able to get together a couple of times a year. This CD is eleven fine tracks of straight ahead Beach and Dance tunes – I’ll Be Around, Hold On I’m Coming, Use Ta Be My Girl, Love Man, Disco Inferno etc. Them Changes has recently gotten some local and regional airplay as well. What folks need to realize is that these young artists represent the future of Beach music for generations to come. Support them and their bands whenever you get the opportunity! 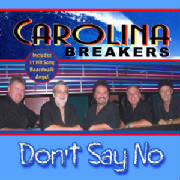 Don’t Say No from The Carolina Breakers on the KHP Records label is a composite set of fourteen recordings from a newly formed group of performers from other groups such as Goldrush and Tommy Black & Blooz. Boardwalk Angel with Jerry Shooter on the lead has been on the charts for several months. The title track as sung by Gary Lowder has also gotten quite a bit of air and DJ play as has Keith Pollard’s version of I Love You 1000 Times. A couple of previously released tunes, Summer Girl and Without You Girl, serve to give the album Carolina beach sound authenticity. I also like the last song on the release, Everybody Needs Love, as a hidden jewel. What’s Smokin: Rhonda McDaniel continues to be one of the hottest artists in Beach music. Touching In The Dark has been charting for several months, her duet (You Bug Me) with Holiday Band’s Mike Taylor is holding steady and her latest, Lighten Up, is making a huge splash. Well deserved recognition for one of the hardest workers in this business. Did you happen to catch the vocal performance of Cee-Lo Green and Gwyneth Paltrow (and don’t forget The Muppets) on this year’s recent Grammy Awards? Green’s full feathered multi-colored outfit reminded me of the George Clinton/Funkadelic days as they grooved to the PG-rated version (Forget You) of his most recent hit song. Cee-Lo was actually the front man for Gnarls Barkley on their smash hit Crazy, which was high on the Beach charts in 2007. One of my current picks to click has to be from Claudette King’s new album entitled We’re Onto Something. The title track is just killer!! Other tunes on the CD with a shag beat include Can I Walk You To Your Car and Playing With My Friends. Claudette is the youngest daughter of legendary bluesman B.B. King. With so much new music coming at us in the Beach arena, particularly in the last few years, it is easy for really good songs to get lost and/or overshadowed by others from the more popular artists. Now I certainly don’t fault the record companies, they would not have included the songs to begin with if they did not feel they were worthy of attention and recognition. There are certainly others, but two such songs that I just think should have done better every time I hear them are Don’t Go by Fantasy which was on the Coast To Coast: Ready To Dance The Night Away compilation and There Will Come A Time by Jerry Wilson & The Jewels from Keep On Shaggin’ Volume 2. Go back and listen to them and see what you think! New News: Hip Pocket has a brand new CD scheduled to drop as we speak. Ocean Drive By will feature the new advance release single Gonna Take A Long Time that is getting positive reviews as well as a great boogie shuffle entitled I Like It Hot. Also included will be their previous hit Packin’ Up and the Little John Thompson scintillating version of Purple Rain, one of their most requested songs in their live performances. Some other nice surprises coming on this one as well!! More exciting news, The Holiday Band is releasing a new ten track album entitled Sweet Love. It will be a rollup of the previously released hits Your Sweet Love, Jukebox and Sweet Caroline as well as two new originals entitled Smooth Sailing and Wanting You (a Mike Neese smoothie). Also included is a specially mixed rendition of Don’t Play That Song, brother/cousin bassman Doug singing How Long and the band’s version of She Sure Got A Way With My Heart. Club News: Most of the regular North Myrtle Beach goers have now discovered Boom Boom’s 13th Avenue North Raw Bar where Buddy Quick has guaranteed the food is to be good and the drinks are to be cold. Jim has indicated that the warm weather months will usher in an outdoor venue at Boom Boom’s with Beach music bands every Friday and Saturday night. Should be a great nightspot to frequent while vacationing and relaxing on The Grand Strand! I visited another venue of note this past weekend to see the Hip Pocket Band. Huey’s Restaurant and Oyster Bar in Mebane, North Carolina, in their 54th year of operation, has a separate room with a stage area which has hosted live entertainment off and on for several years. It looks like they plan to make Beach bands at least a once a month event, which can draw from several nearby metropolitan areas. Very good news indeed for band followers and music lovers! Next Month: We will recap some of the new or ‘discovered’ songs that surfaced at this year’s twentieth annual DJ Throwdown the first weekend in March as well as a recap of the performance of the U.K.’s James Hunter.